Companies engage in the acquisition process for a number of reasons: first, to increase market share; second, to take on new customers; and/or third, to pursue an interest in a new market altogether. Oftentimes an acquisition is made in order to acquire a product line or make a brand extension, as was the case with my company, OneSource, for our recent acquisition of SalesQuest CRUSH Reports®. Given my experience with acquisitions over the years, I wanted to share some tips and best practices I have learned. The first thing you need to determine is if an acquisition is right for your company. As I mentioned, you may be looking to increase market share or penetrate an entirely new market, but it’s important to ask yourself if an acquisition is the best way to do so. I use a three question analysis to determine whether to move forward with an acquisition. First, I determine if acquiring the technology will be more cost effective than building it myself. Second, I analyze whether it will save a significant amount of time to acquire instead of build the technology internally. Finally, I assess the risks involved to decide whether the acquisition is worthwhile and believe me -- there are more than you would think. Once you decide an acquisition is appropriate for your company, detailed planning must begin. Proper planning will help ensure that your company is always a step ahead of the game. When you’re determining your target, you should be thinking about your letter of intent. As soon as that letter of intent is drafted, it’s important that you have already selected your deal team to work on structuring, diligencing and closing the transaction. Before the transaction is closed you need to select and brief your integration team, building out of functional experts within your company and determine who you will want on this team from the target. Once integration is underway, you should start considering plans for expansion. Everyone’s question will be “what’s next?” and in order to succeed you must have an answer to this question. Without a specific vision it’s impossible to align all of your goals thus leading to discordance. All employees should be aware of the final goals for the company in order to successfully carry out the process. Let me back up for a minute. There’s another consideration that must be made when selecting a company to acquire, however, it’s often overlooked as it’s not necessarily a traditional “business” decision – and that is company culture. It is imperative that company cultures mesh well in order to maintain high morale. While cultures may not be an exact match and full integration will certainly take some time, it is important that leadership can envision a positive cultural integration. The purpose of an acquisition is to combine two companies into one, and if their cultures don’t work well together, it’s difficult to consider an acquisition a success. As I previously mentioned, your people are the most valuable asset that your company has - they can also be your most important data source. Be sure to look beyond facts and figures to connect with the customers. A good strategy is comprehensive and takes advantage of all of the information available, whether that’s formal reports or less official conversations. Sometimes the most important details can be attained through a simple conversation. An acquisition often causes unease due to the reputation for layoffs that it carries. Ideally, you can hold on to every staff member, but sometimes it is not possible due to duplication of roles; however it is important to be upfront and honest regarding any potential cuts that need to be made. Make sure that you’re over communicating with employees and guiding them through the process. Your employees drive business success and it is imperative that they do not feel neglected during a transition of this magnitude. 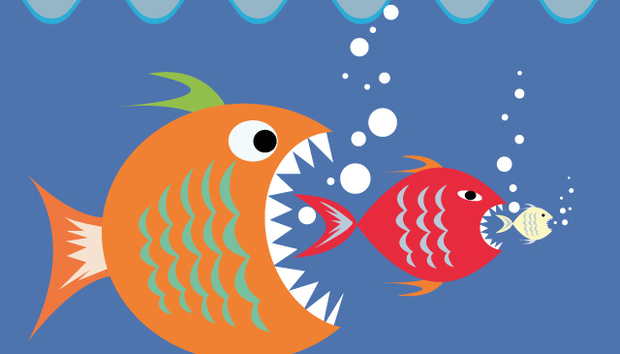 Making plans can be a great way to help curb the unease associated with an acquisition. By clearly communicating roles each employee will see through the process, you are able to detract from any confusion while also streamlining efforts. Delegation is a key term in an acquisition, by allowing everyone to take on a few responsibilities, rather than a few people taking on all of the responsibilities, the entire process will become more manageable. This brings me to my final tip, which is to be aware. As I noted before, it’s tough to relinquish control and delegate tasks and even more difficult to give up a company that you’ve built from the ground up. When acquiring a company from founders, be especially sensitive to their feelings. Founders have a distinct vision for their brand and likely aren’t looking forward to handing over the reins of a company they’ve invested so much time in. There’s no need to change your business strategies, after all there is a reason you’re purchasing their company instead of vice versa, but it’s worthwhile to set off on the right foot and acknowledge their unique experiences. An acquisition can be an excellent way to expand your company in a variety of ways; however, proper planning, communication and execution are the keys for success. Even after the forms are signed and the hype has died down, full integration will take a bit of time. Don’t get discouraged if you hit some roadblocks – continue planning and communicating and everything will work out. Most importantly, take care of the business side of things but don’t lose sight of the people. It’s easy to have a mindset of “profits” over “individuals,” but it is an important reminder that you cannot drive revenue without motivated and loyal people.